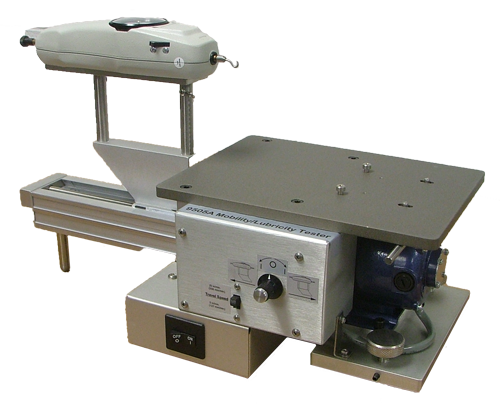 The MODEL 9505A Mobility/Lubricity Tester is used to determine the coefficient of friction of decorated or coated body blanks or cans. The 9505A tests can bottoms and many other flat materials, as well..
An appropriate set of Change Parts, determined by the type and size of can or sample being tested, are installed on the tester. The sample is mounted on the change part and a test sequence is initiated. 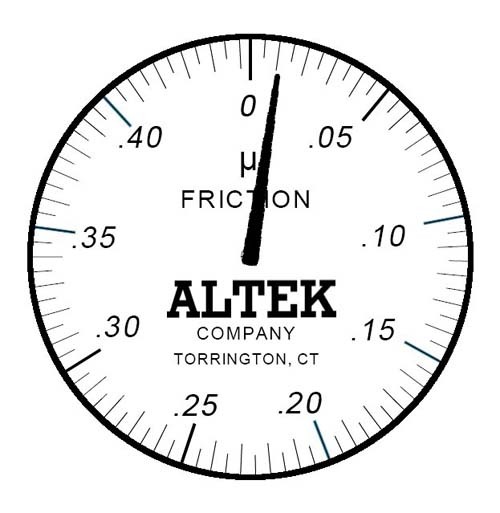 By traversing a weight across a flat sample, a can body diameter or a can bottom across a set of polished rods, the coefficient of friction is determined and indicated directly on the precision mechanical gauge.